Fulham’s unceremonious exit from the Europa League last night may have been a big blow to Martin Jol’s men – but that’s not all they have to worry about. The west London side were 2-0 up and cruising against Odense before a Hans Henrik Andreasen free-kick and an injury-time equaliser from substitute Djiby Fall saw Wisla Krakow make it through at the expense of the Cottagers. Whilst exiting the Europa League is undoubtedly a bitter blow for Fulham, the lack of extra games could go some way to ensuring Premier League survival for the Cottagers. The Odense draw was already their 30th game of the season and – with a squad hardly bursting at the seams with strength and depth – long trips to the continent on a Thursday evening would have been far from ideal. Fulham are currently just three points off the Premier League drop zone and face a difficult Christmas period. They welcome a struggling Bolton side to Craven Cottage this Saturday and three points is a must in a game they are 4/6 favourites to win. They then play Manchester United and Chelsea in their next two games before going to a Norwich City side who boast the eight best Premier League home record. With such a difficult festive period awaiting them, Fulham could easily find themselves right in the thick of a relegation battle in the new year and will be glad of those Thursday evening’s off. 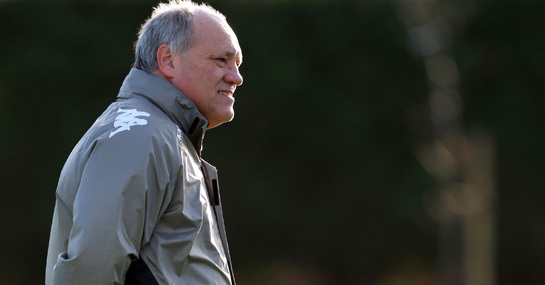 Fulham are currently 12/1 to be relegated at the end of the season while Martin Jol is out at 16/1 to be the next Premier League manager to leave. Neither should happen, but much will depend on how they perform in the coming weeks in the wake of their Europa League disappointment.